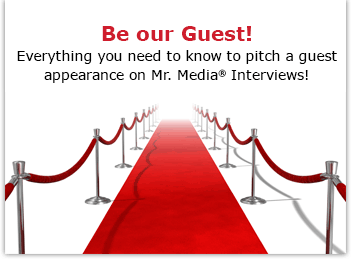 Watch this exclusive Mr. Media interview with ROBERT MUGGE by clicking on the video player above! Mr. Media is recorded live before a studio audience full of finger snappers and toe tappers who can talk – unconvincingly – for hours about the meaning of jazz … in the NEW new media capital of the world… St. Petersburg, Florida! Saxophone Colossus, featuring Sonny Rollins, directed by Robert Mugge. Order your copy today by clicking on the movie poster above! Does anybody really understand jazz? Hands down, hands down – it was a rhetorical question. For me, it’s alll about mood, rhythm, sway and surprise. Good jazz changes your emotions and takes you places full of surprise and invention. Of course, that was in 1986 – more than 30 years have passed since Mugge started the film, which contains rare interviews with Rollins and his late wife, Lucille, full performances and even convenes a trio of jazz critics to discuss Rollins’ art. What took so long to get Colossus to the public? We’ll discuss that and more. By the way, you have probably seen Mugge’s work before. His documentary archive includes Hellhounds on My Trail: The Afterlife of Robert Johnson, True Believers: The Musical Family of Rounder Records, The Kingdom of Zydeco, The Return of Ruben Blades, Gospel According to Al Green and Cool Runnings: The Reggae Movie.